Leuven has an incredibly rich beer history. The first Stella Artois was brewed here as early as 1425. But Leuven also has a rich beer future. The university is studying new procedures and the breweries are testing innovative techniques and flavours. Stella Artois is part of the world’s largest brewery concern, AB InBev, and is still firmly rooted in its home base of Leuven. You can visit the brewery on Saturdays and Sundays (also on Fridays from 01.04 until 30.09).Take part in the new interactive guided tour. 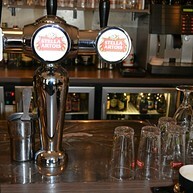 Experience the brewery in action and enjoy a wonderful Stella Artois after your visit. In short, experience beer in its purest form. A must for true beer lovers: the home brewery of Domus is unique. Three homemade beers flow directly from the brewery via a 'pipeline' to the tap installation of Domus. Fresher than fresh! You can sample the Nostra Domus, an amber-coloured beer, and the Con Domus, an unfiltered lager, all year round. In winter Domus brews its signature beer Nen Engel, a dark Christmas ale with a rich aroma and bittersweet taste. You can visit the brewery by appointment. Our guide will show and explain you the brewery process. 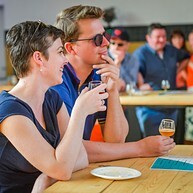 After the guided tour there is a tasting session where you can enjoy the home-brewed beers. The longest bar in the world, that's what Leuven's Oude Markt (Old Market) is called. Around forty cafés on one square mean that students and locals never go thirsty. Inside the fantastic Museum M you will find the similarly named M-Café. It offers 65 different beers, including many speciality beers from Flemish Brabant such as Alpaïde, Tumulus and Metteko. Every Friday the M-Café organises "one hour of beer culture", an informative tasting session on a specific topic. The Capital is by far the largest beer café with over 2000 different beers. Through the glass tiles in the floor you can see the impressive beer collection, as well as the mechanical beer elevator that fetches the beers. 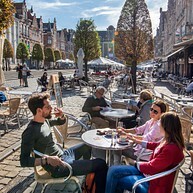 The Fiere Margriet on the Margarethaplein has a selection of no fewer than 280 different beers on the menu, including local specialities such as Wolf, Broeder Jacob, Kessel Blond, Hector and Hof Ter Dormael. Every month there is a "Beer of the month". 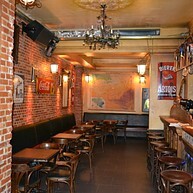 In this jazz and blues café in the heart of the city you can discover 99 different types of beer. There are regular small-scale performances on Mondays. 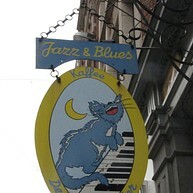 Open every day from 7 p.m. De Blauwe Kater also has a "Beer of the month". In this café you will feel a nostalgia for days gone by. 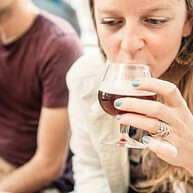 At the weekend Cafe Belge is the place to be to stretch your legs of an evening. 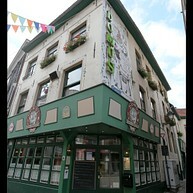 The café has no fewer than 100 beers, including several local Leuven beers. They also offer a beer of the month. 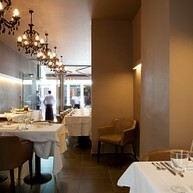 Improvisio offers you a culinary surprise in a unique setting. And it is always excellent value for money. At Improvisio you will be able to enjoy Franco-Belgian cuisine with regional and seasonal products prepared with a contemporary touch. In addition to the regular menu, you can also choose from a suggestions board that is changed each month. 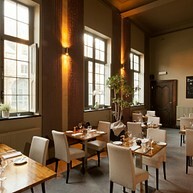 Trente is a stylish restaurant on Muntstraat. The restaurant is known for its light, fine cuisine. An appropriate beer or suitable wine is recommended with each dish.